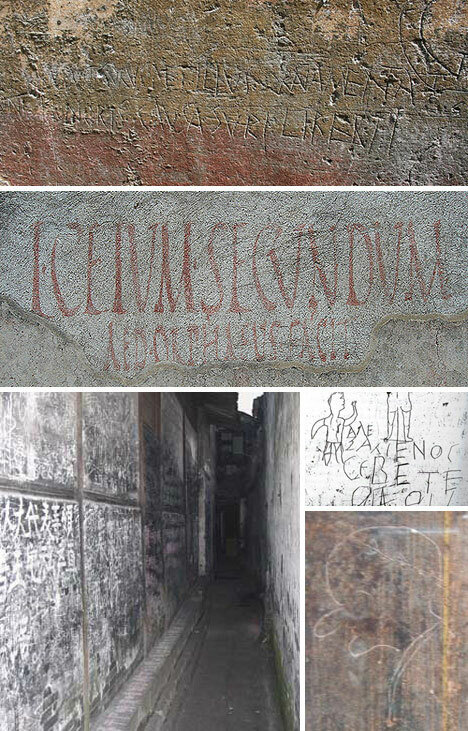 Since before the Italians had the word “Graffiti,” and in fact, before there were any Italians, people have been leaving their marks on walls. These people weren’t viewed as criminals, nor were they likely seen as artists, but they could be hailed as forebears of modern journalism. Before there was recorded history, there were recorded events, and recorded moments. As culture has evolved over the millenia, so has art, and what we leave behind tells a story for those who follow. 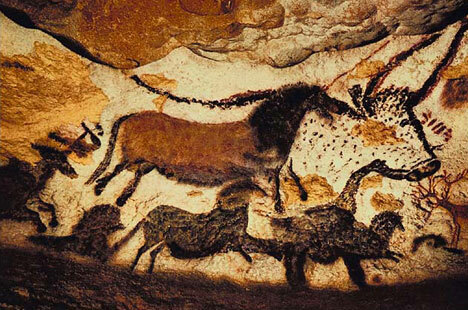 At the site of the one of the world’s oldest art exhibits, at Lascaux, France, we can see Man’s early success at Wall-Art. Drawn nearly 20,000 years ago, this work still makes us stop walking and take notice; something all Graffiti artists strive to accomplish today. The early artists who created the works in these caves couldn’t possibly have known what they had become a part of, and the legacy they left behind, though lost for countless centuries, would be discovered again and treasured beyond all others. Their work is our birthright. 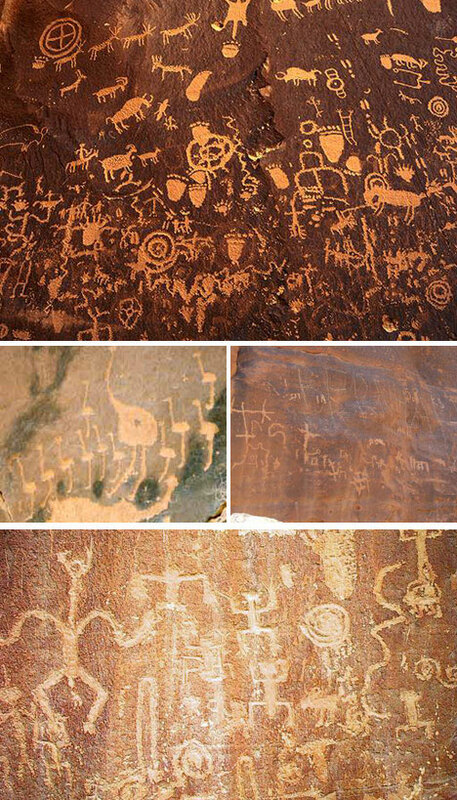 Once Man discovered his ability to modify his surroundings, art began to cover cave-walls and rocks all over the world. 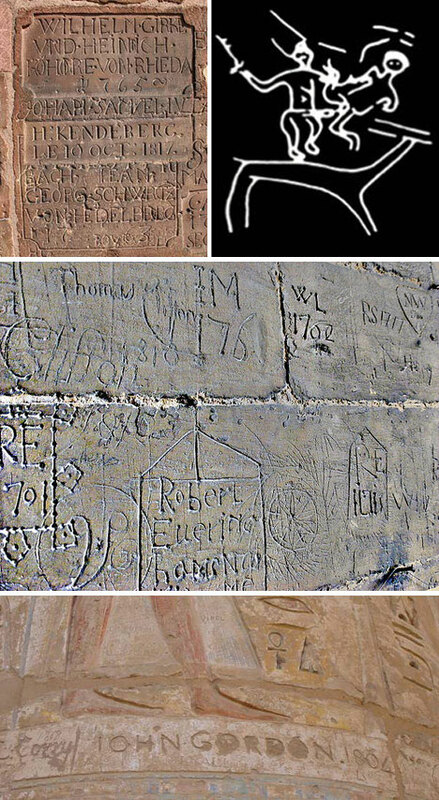 Even so, despite Man’s penchant for progress, graffiti was slow to evolve during its first several thousand years of its early existence. While amazing displays in their own right, it would still be ages before the human qualities of humor, lust, and rivalry begin to work their way into the budding art-world. It wasn’t until the dawn of the Age of Reason that art finally began to manifest the utmost qualities of human culture. Soon baudy, humorous, insulting, and downright lewd behavior could be found on every surface in the civilized world. When archaeologists unearthed the ruins of Pompeii, they were thrilled to find Roman graffiti perfectly preserved under the ash. They were delighted to then find themselves laughing, as they roughly translated what they found to be such vulgar messages as “I screwed the barmaid,” and “Celadus the Thracier makes the girls moan!” Particularly impressive was the trend-settingly creative “LUCIUS PINXIT,” or “Lucius painted this.” Meanwhile, on the other side of the globe, the streets of ancient China were so completely inundated with graffiti that the walls themselves could hardly be seen at all. It seems true of any subject in any era, that with time comes comfort and with comfort comes complacency. The Dark Age’s affects were not limited to daily life, education, research and freedom. Art and its front-line manifestation of the urban populace, graffiti, suffered as well; during this period it seems as though people simply stopped trying. Graffiti degraded to simply marking names over other artists’ work, usually in foreign countries freshly invaded. 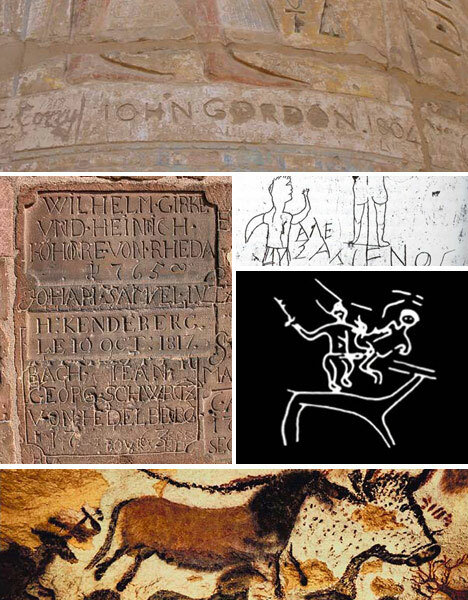 The occasional, humorously lewd depiction of sexual escapades could be found from time to time, such as the above drawing from a castle in Bulgaria, but for the most part graffiti as we know it today lay dormant throughout the period. It would be another 200 years before the first semblance of modern Street-Art would begin to appear.